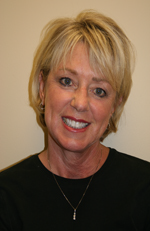 Marcia Franks has held a real estate license for over 25 years. She opened Franklin REALTORS in 1990 and is the Principal Broker and owner. Marcia is an active member of the Williamson County Association of REALTORS serving on most association committees including the Board of Directors and was its 2006 President and was 2007 REALTOR of the YEAR. Marcia is also very active in the Tennessee Association of REALTORS. 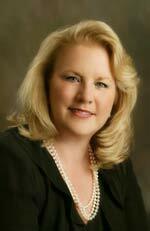 She has been a state director for the has been a member of the state REALTORS Political Action Trustees. Marcia has attended most of the local, state and national REALTOR association meetings and continues to keep herself abreast of all things concerning real estate and currently was the 2007 President of the Women’s Council of REALTORS of Williamson County. Marcia is very active in her church, West Franklin Baptist Church, The Heritage Foundation, Vanderbilt Children’s Hospital. She and her husband, Jay, own Homestead Manor on which they have placed an historic conservation easement, forever protecting it in the Civil War battlefield it sets on. They live in a historic 1864 house is Downtown Franklin and are partners in The Boathouse Cafe on Main Street. Marcia and Jay have developed over 20 subdivisions and have built hundreds of houses and commercial properties Marcia and Jay are happy and proud to have their two daughters, Tonya and Bryana, working in their real estate development office. 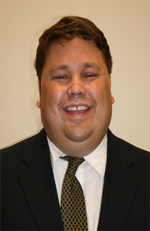 I have enjoyed almost 17 years in the real estate profession in the middle Tennessee area. My extensive experience includes the relocation of professionals in major firms and selling and listing subdivision properties. Also, being a horse owner and lover all my life, I have had a great deal of success marketing farm land and equestrian estates. My work in the commercial real estate market is varied as well. I have listed, marketed and closed all types of commercial properties from office condos to major retail and interstate properties. Whatever your needs may be, whether residential or commercial, I will make buying or selling your property a very pleasant, timely and successful experience. On a personal note, I have lived in the Franklin/Green Hills area for the last 30 years. I currently live in Franklin with my husband Gerald and my golden retriever Beau Tu. I have a B.A. in Speech Communication, a B.S. in Speech/Language Pathology and a M.S. in Speech and Hearing Science. I am a member of the Williamson County Board of REALTORS, the National Association of REALTORS and the American Speech and Hearing Association. 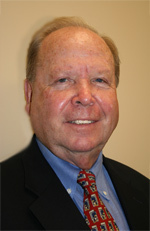 Bob Rudman headed The Marketing Connection for 20 years and worked with major blue chip companies such as: Johnson & Johnson, Kendall Healthcare, Tecnol etc. in developing new markets and products. Bob has been a resident of Franklin, TN. for four years. In that time he has shared his marketing knowledge with: Save the Franklin Theater. He is also a member of the President’s Council of Aquainas College, District Governor of Serra USA and a member of the Diocese of Nashville Stewardship and Development Committee. 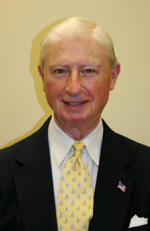 He is a graduate of Boston College and was one of the alumni instrumental in establishing a Boston College Alumni Club in Tennessee. I focus on both commercial and residential sales offering my clients strong experience in the real estate marketing and construction business. I want to earn your business. I enjoy church, movies, entertaining, my children and grandchildren.